Haunted by Memories Manor 2017 offers a beguiling mix of scares and whimsy. The March Hare takes visitors past the yard display and leads them to the entrance to Wonderland. After a couple jump scares, Alice offers visitors a choice of nightmare: there are two paths, featuring different horrors, though they both converge for the tea party with the Mad Hatter. 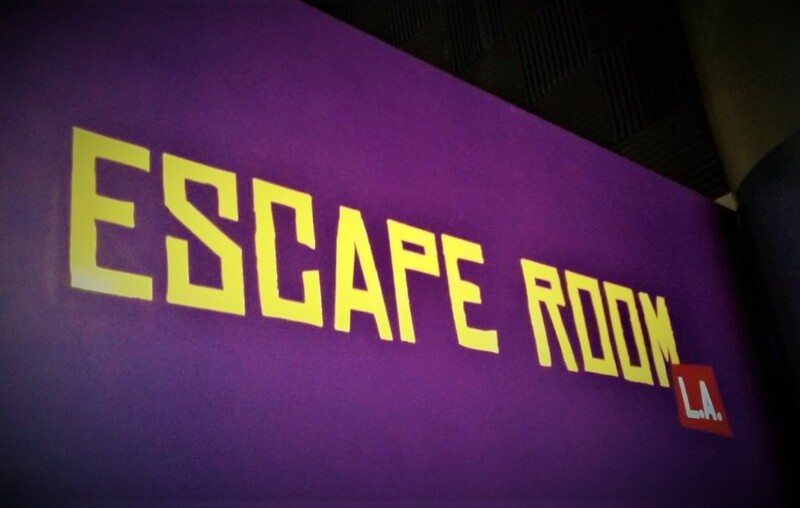 Along the way, a caged victim on the menu, and Captain Hook seeks your help executing Tinkerbell; the Big, Bad Wolf may show up as well, depending on which path through the woods you take. Most likely, you will have so much fun that you will opt to return and take the second path, just to make sure you don't miss any of the demented delights on view. Haunted by Memories Manor: Alice's Twisted Fairytales shows what clever execution of a theme can achieve. After going through a couple of times and then ruminating on the experience, you may come to realize that the construction of the maze is not on par with the more elaborate home haunts; however, the look of the settings perfectly suits the fairy tale ambiance, immersing you into the world beyond the looking glass. There is also an interactive element, with the characters engaging visitors, creating little personal moments on top of the sudden shocks. The effect is like experiencing a series of scenes instead of just walking through several rooms. Best of all is the finale with the Mad Hatter: the tea room is larger than the rest; circumventing the table forces visitors into confrontations with multiple characters and gives the Hatter plenty of time address newcomers - a bit like providing a big stage for an actor to chew the delicious scenery. Hollywood Gothique first encountered Haunted by Memories Manor last year, when it was reduced to a yard display (a very nice one, in fact). Haunted by Memories Manor 2017 resurrects the walk-through to excellent effect, making a return visit a top priority. The result is easily worth every mile of the long drive east to South El Monte. 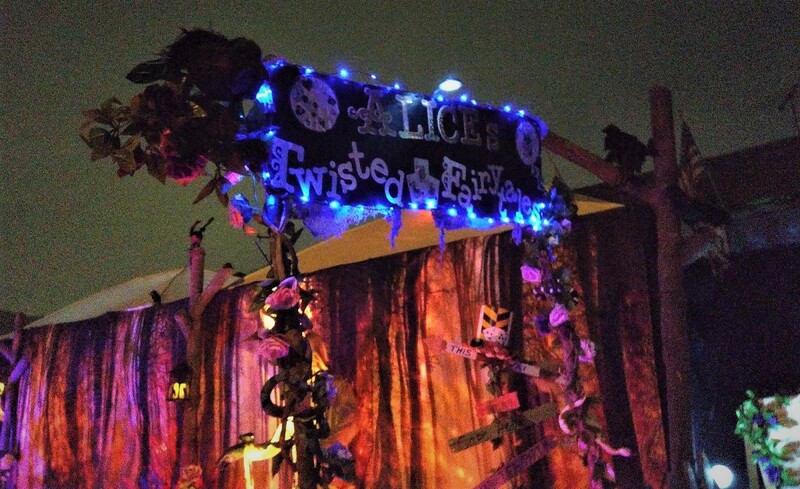 Haunted by Memories Manor: Alice's Twisted Fairytales is open Halloween Night, 7-10pm. The address is 9914 Alesia Street South El Monte, Ca 91733. Admission is free, but the haunt accepts food donations for El Monte's Thanksgiving Gift Basket Program. There Facebook page is here. 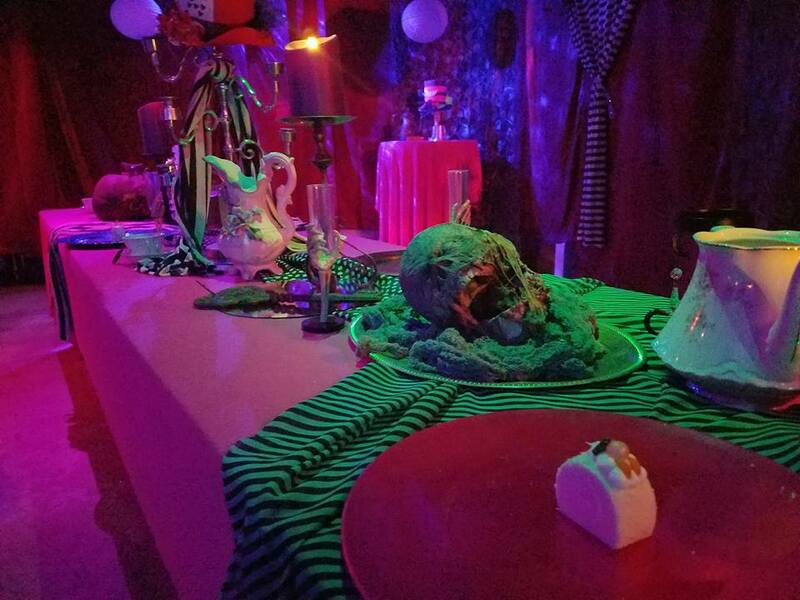 Haunted by Memories Manor: Alice’s Twisted Fairytales offers a mix of scares and whimsy beguiling enough to lure anyone down the rabbit hole – worth every mile of the long drive east to South El Monte. 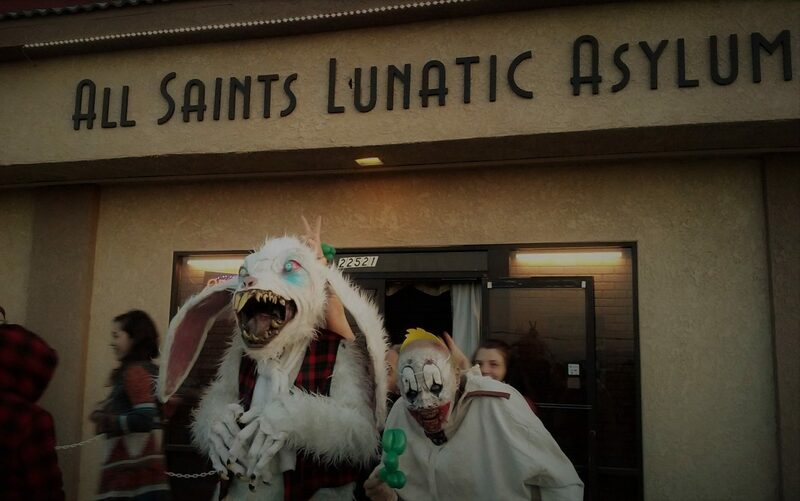 Find more Halloween Home Haunts in A Halloween Haunts Master List.